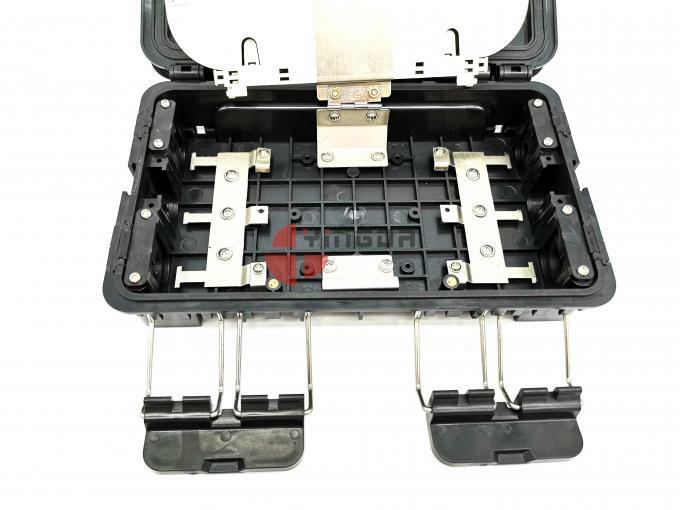 This splice closure integrates distribution and splitting in one, can realize the direct fusion and branching of the optical cable, and is suitable for the wiring connection in the optical communication equipment. 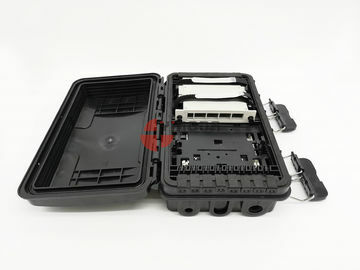 Through the adapter and jumper to bring in the signal to realize optical distribution function, it is also suitable for fiber optic cables and pigtail protective connection; the unique three-tier design of the box body can be used as a fiber splitter or splice box; the flip board can be flipped≥180°,it is more convenient to install the box or maintenance. 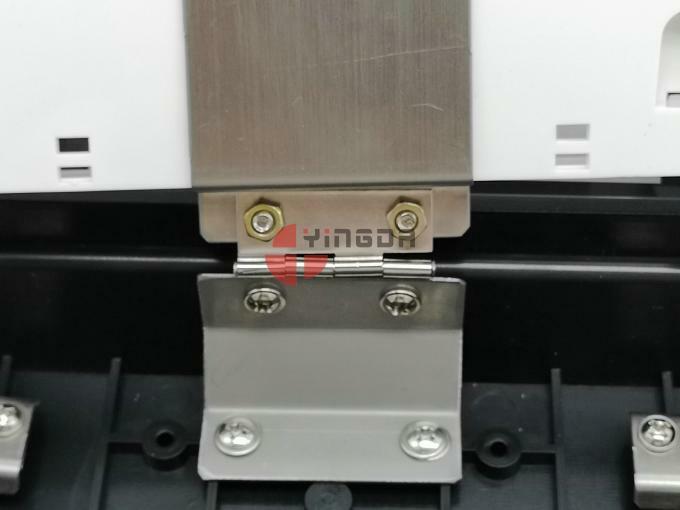 If remove the board, it can bed as a splice closure to meet different choices. 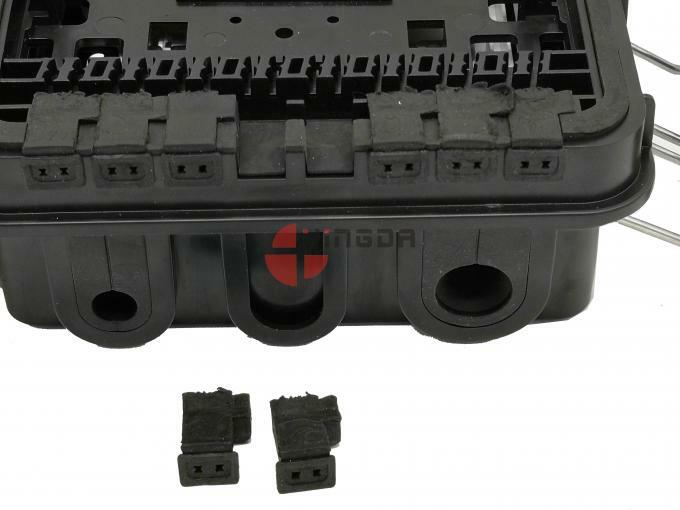 The product is made of high-quality impact resistant plastic and has a standard user interface that can be re-opened. 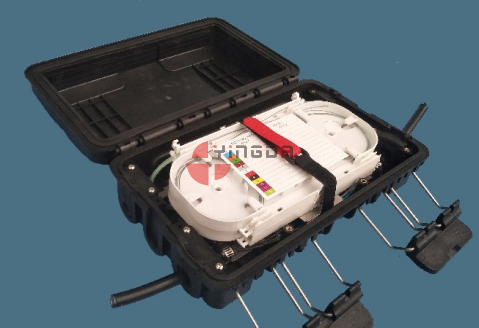 Fiber optic cable can go in and out of the box without cut the cable. 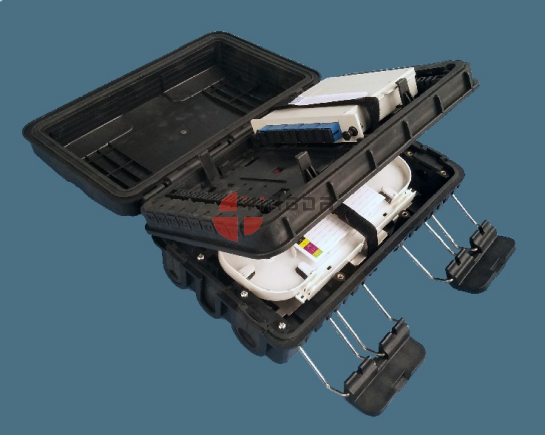 the bottom is for ditribution of feeder cable from outside, and cable storage and routing. 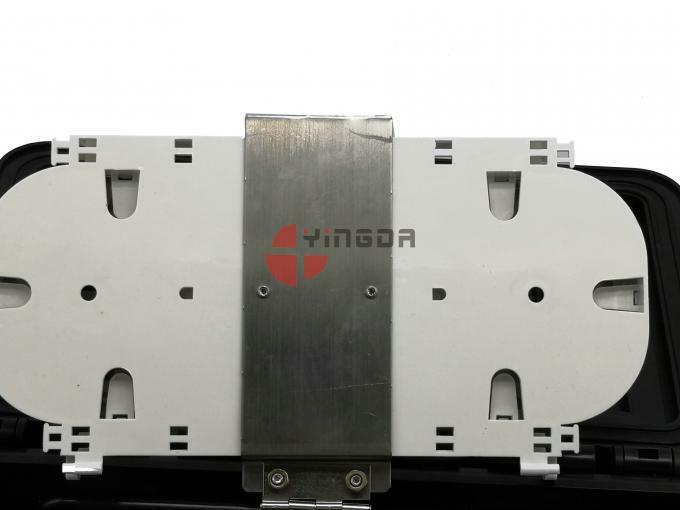 The splice tray is fix on the box with screws with stainless teel metal sheet, it is good protection from damage during long transportation and violent handworks. 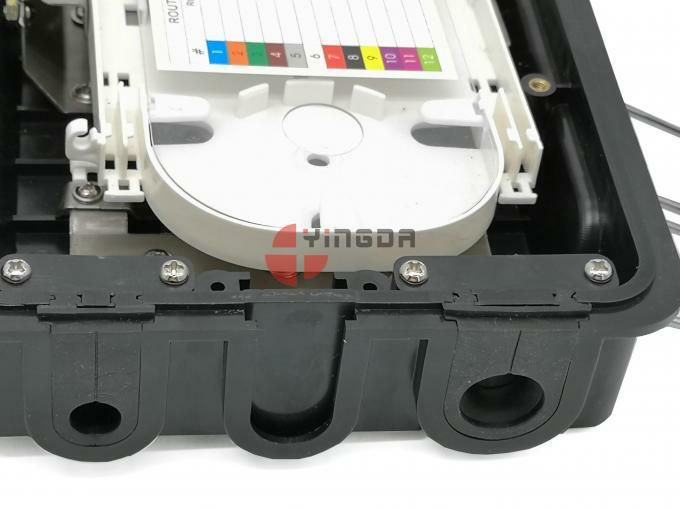 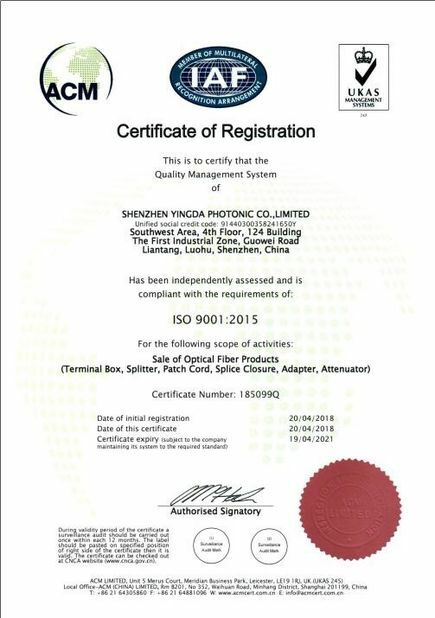 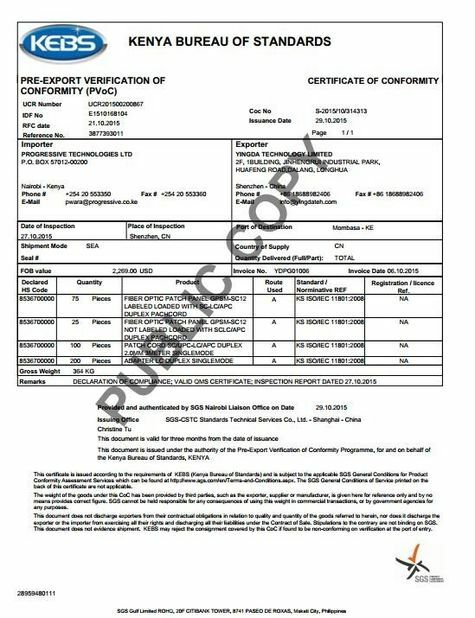 to keep fiber stable and high performance. on one side of the box, above the cable ports, there are 16pcs 2*3mm drop cable outputs, it is on the first layer plate with rubber seal, good waterproof, and with cable q6pcs fix slots.